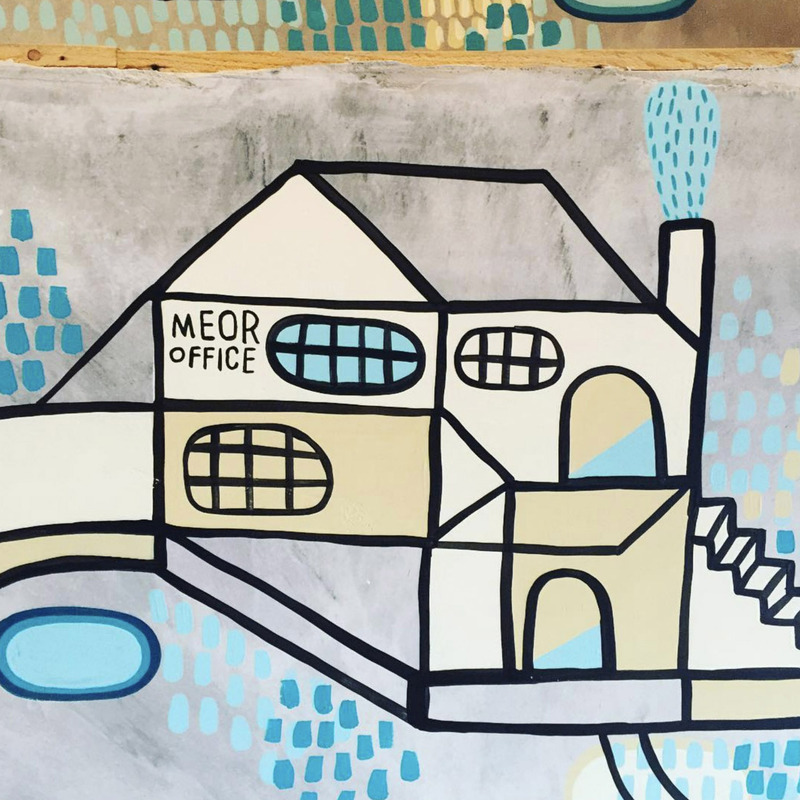 At Meor, we’ve worked with the Hub since they established their first eatery, located on the St.Ives harbour front, in 2003. 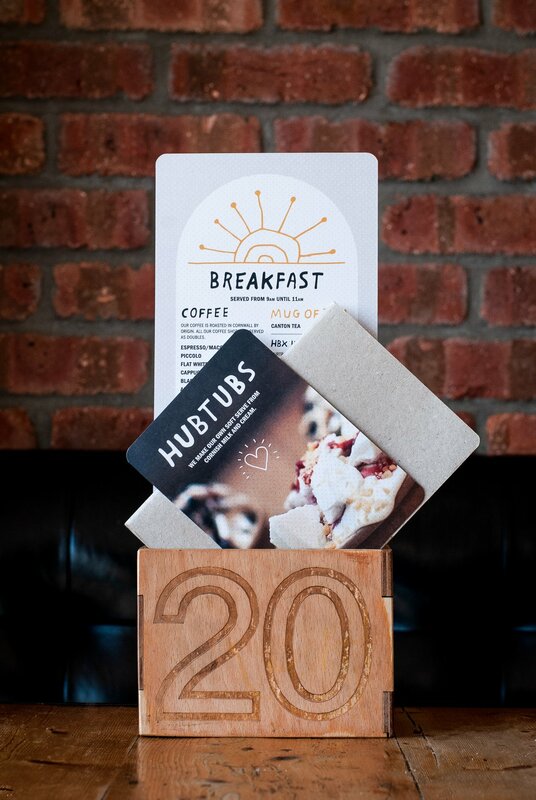 As their business and success grew so did our involvement, leading to our managing and delivering their complete re-branding in 2012. 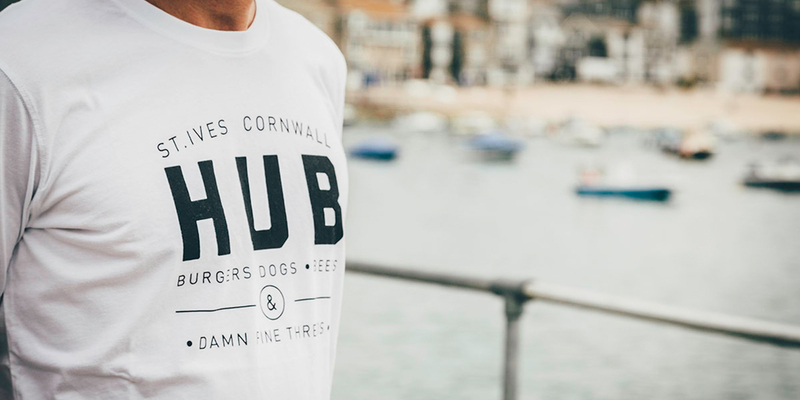 Since then we’ve been serving the Hub’s monumental appetite for design, providing them with a wide range of skills and services that have helped shape the Hub St Ives and Hubbox into the legendary Cornish brand it is today. 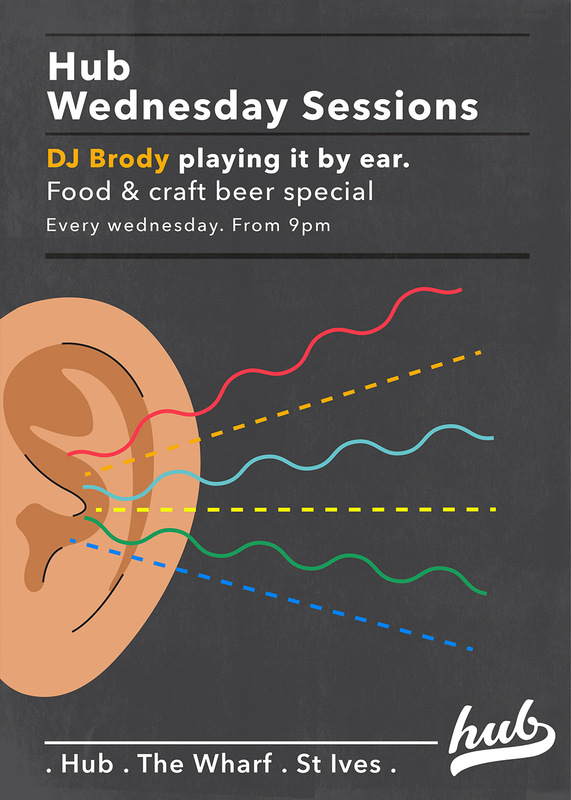 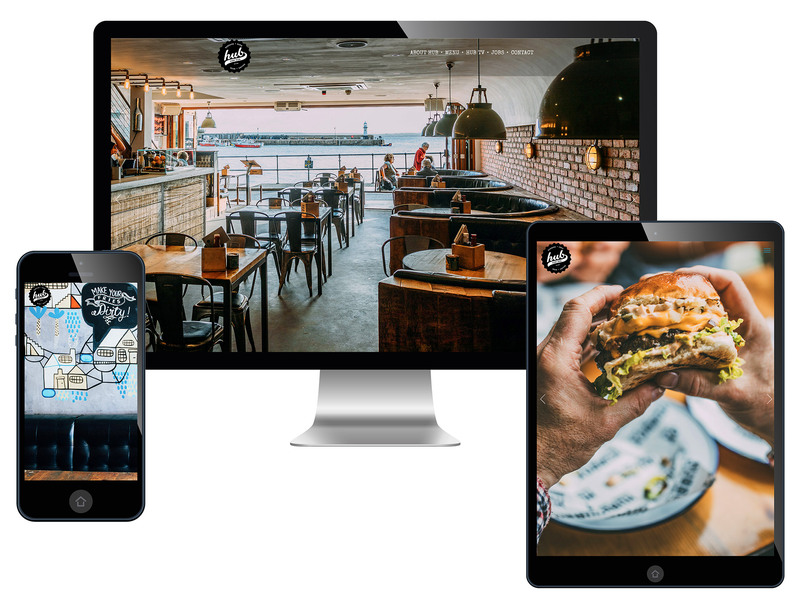 A harbour front bar and eatery with a penchant for good burgers, hot dogs, craft beers and ‘damn good’ coffee, we have helped push the company’s digital presence establishing a monthly newsletter, a structured social strategy and PR. 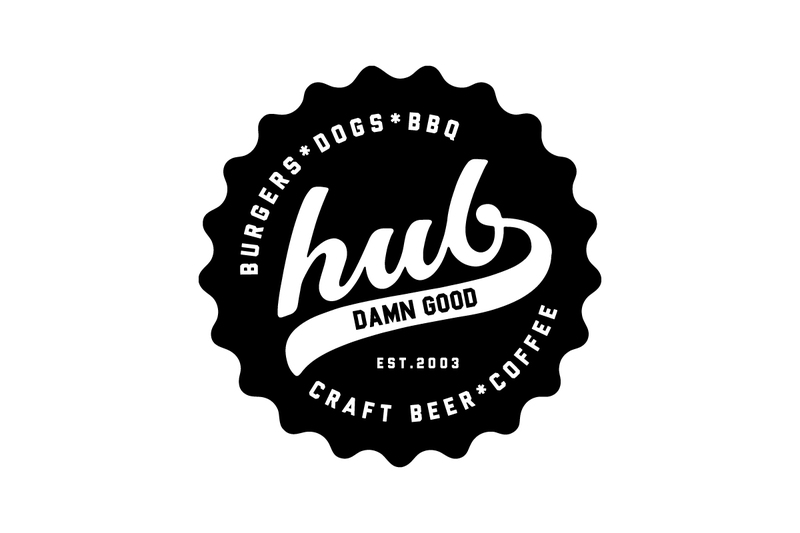 We’ve just worked with them to squeeze in a new summer menu; offering their award-winning burgers, free-range pork hotdogs and now adding things like Soft-Shell Crab or Cornish Haddock in a bun. 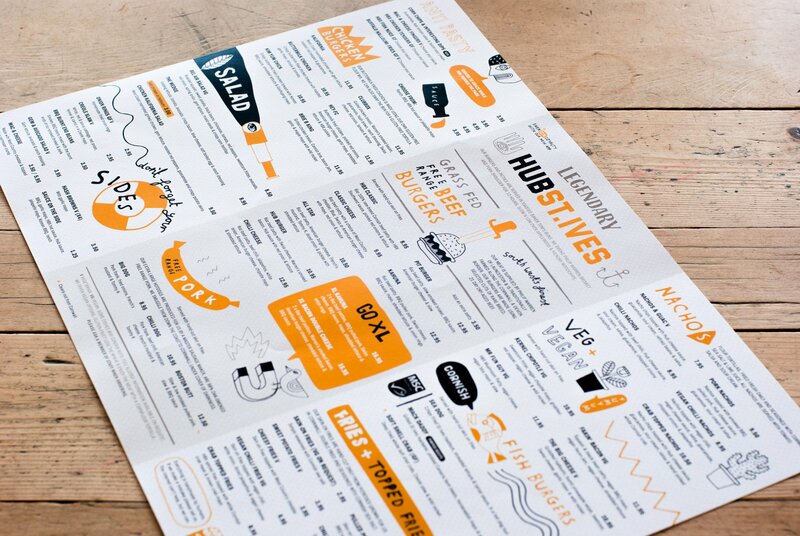 The redesign of this menu sees a fresh take on the Hubs much loved past design heritage, yet sporting a contemporary, fun, and bold colour palette, but still being easy to appreciate and navigate. 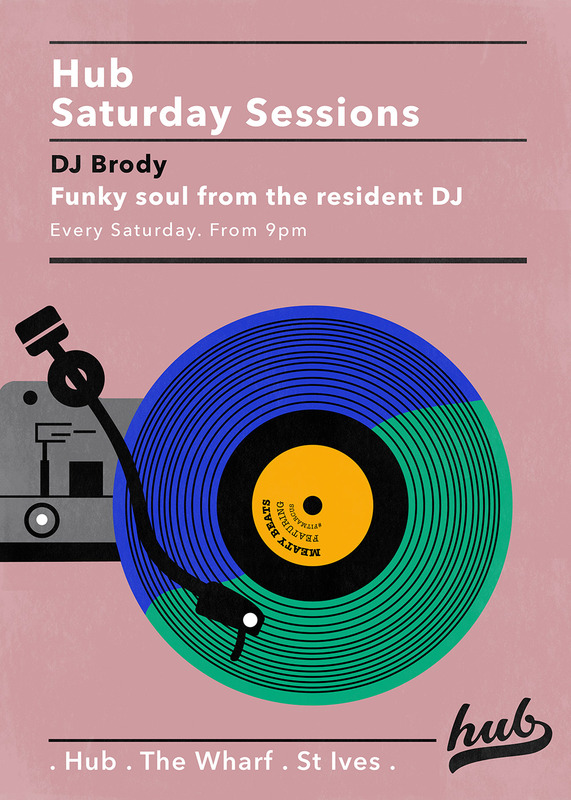 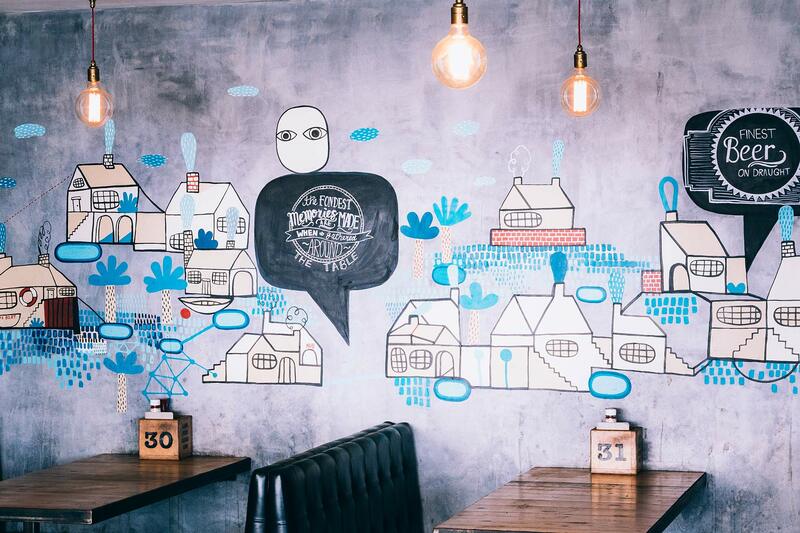 The menu is set in black and mustard gold and incorporates design touches such as hand lettering and typography, as well as featuring the instantly recognisable illustrations of the incredibly talented David Shillinghall. 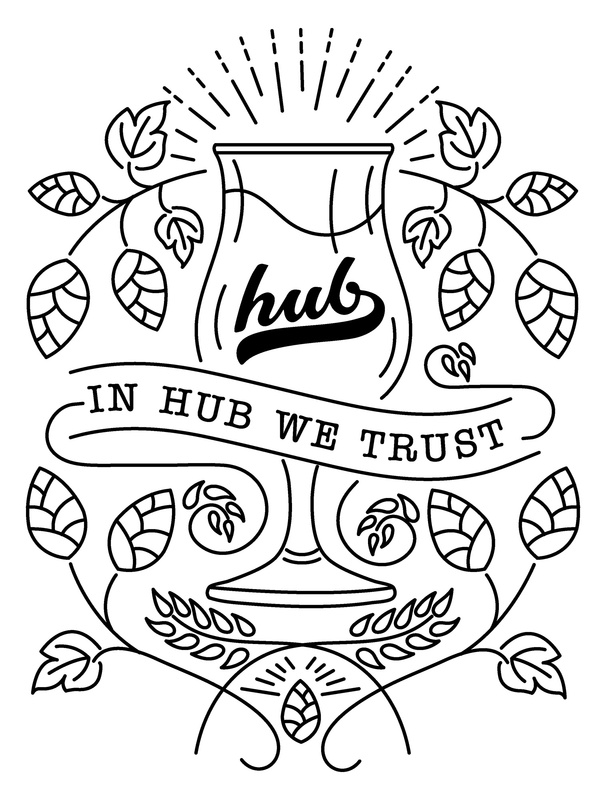 These Illustrations have been applied across the entire brand’s menu designs, including the main food and drinks menus, breakfast menus, and exclusive to the Hub St. Ives, a ‘Hub tubs’ pudding menu. 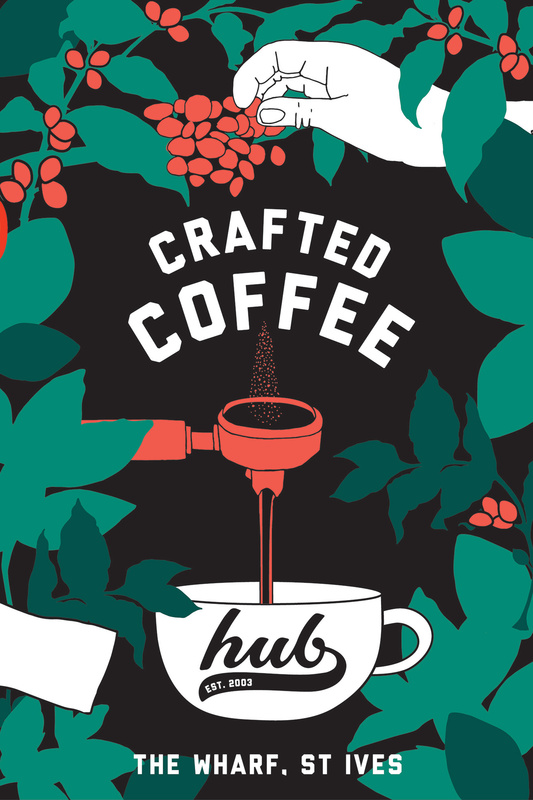 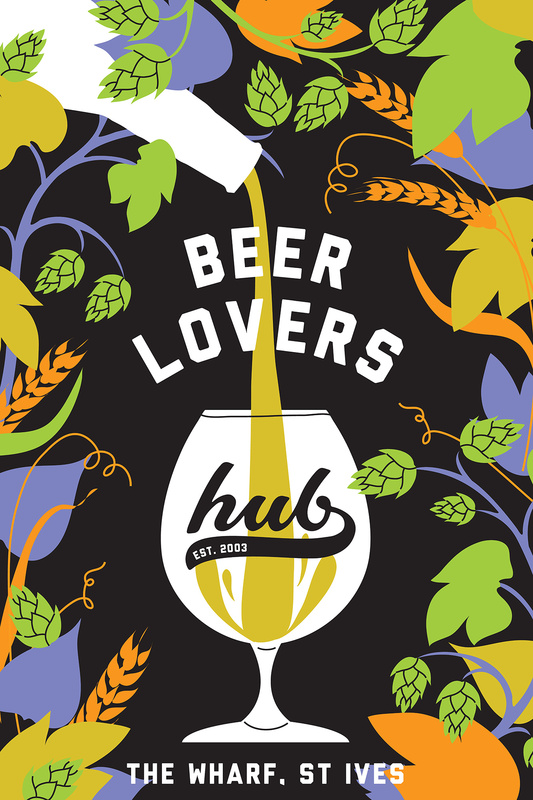 In a menu that celebrates the incredible taste of the South West, this redesign also contains a location map of all of the Hubbox’s suppliers, proudly championed as they make the leap across the Tamar and fly the flag for Cornwall’s rich source of amazing and varied produce such as Origin Coffee Roasters, Baker Tom’s and Harbour Brewing Company.